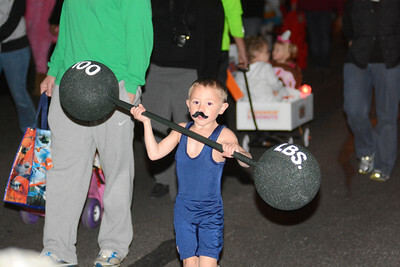 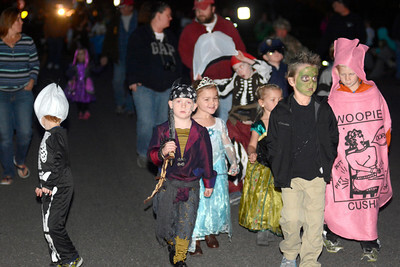 Galen Loss, 5, Mifflinburg, walks down Market Street in Mifflinburg along with other Halloween parade participants on Monday. 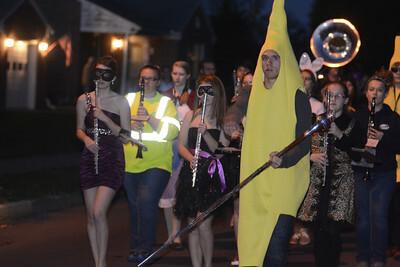 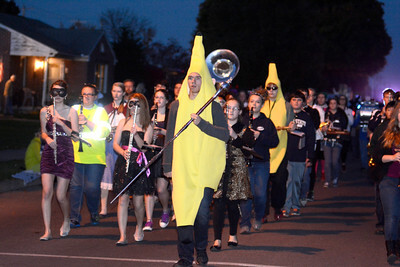 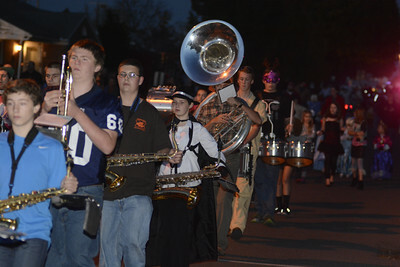 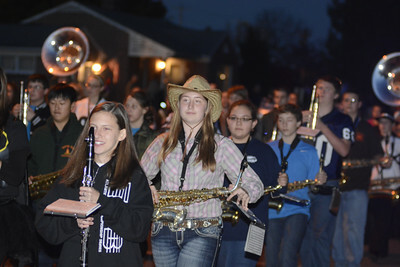 The Mifflinburg High School marching band lead the way during Mifflinburg's Halloween Parade on Monday night. 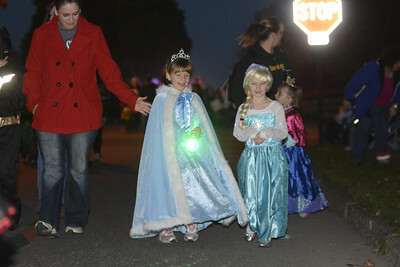 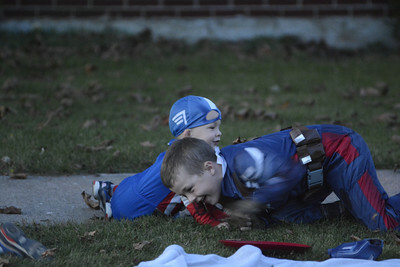 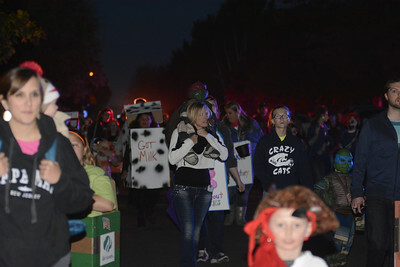 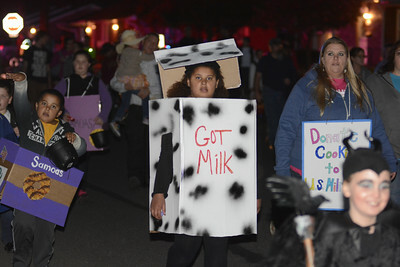 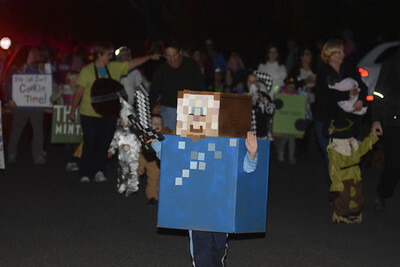 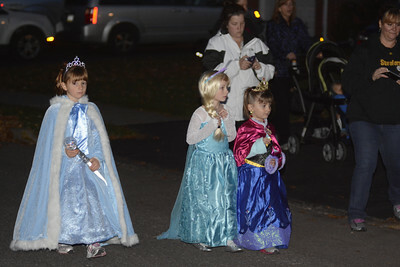 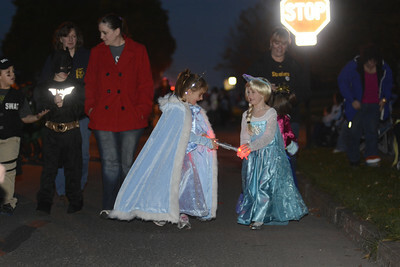 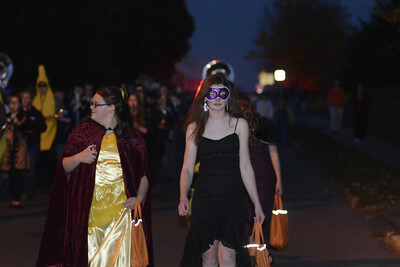 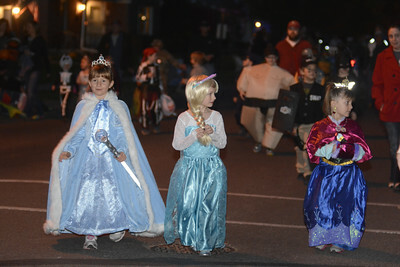 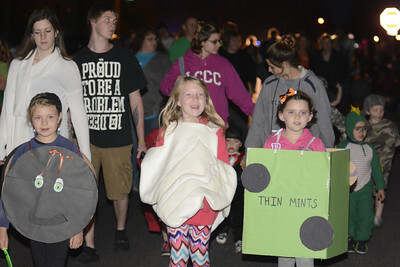 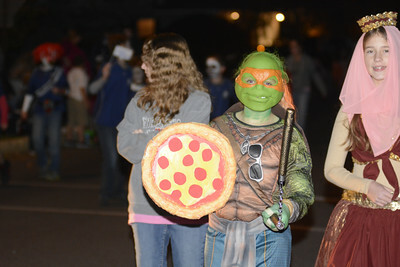 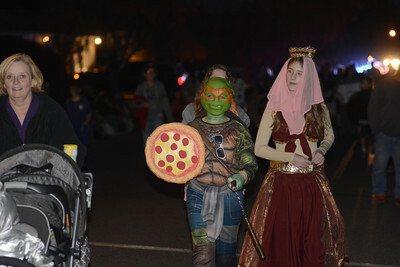 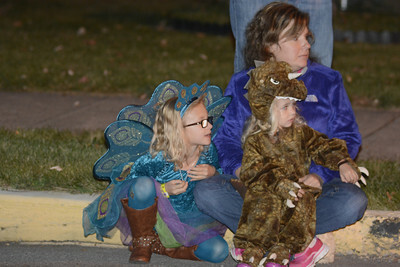 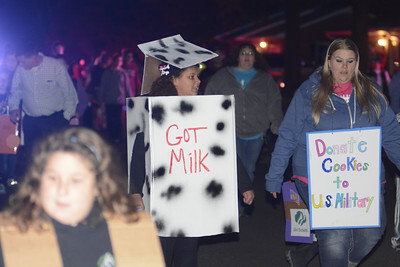 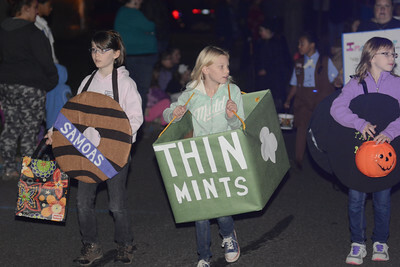 A group of kids dressed up in their Halloween costumes walk along in the Mifflinburg Halloween Parade on Monday night.